Posted on March 29, 2019 by oaamensore | Enter your password to view comments. Every year, the Okinawa Prefectural Government offers scholarships for young Okinawans (ages 18 to 35) to study in Okinawa for one year. This is a wonderful opportunity for young kenjinkai members of full or partial Okinawan descent to learn about their ancestral heritage as well as develop relationships with local and international Uchinaanchu. 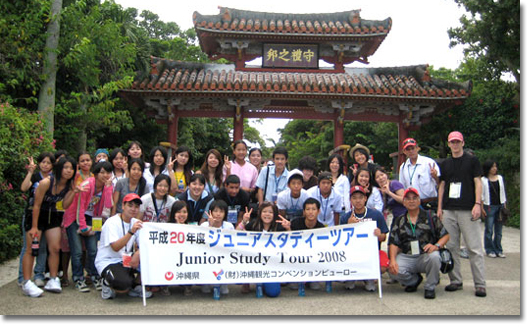 In coordination with the Okinawa Prefectural Government, the Okinawa Association of America (OAA) will be hosting 10 high school and college students from Okinawa and organize activities for them to learn about and interact with the OAA, the Uchinaanchu community, and Nikkei- and Uchinaanchu-owned businesses. Click below for a schedule of activities and more information.